More than ever before the bathroom has become a haven where people can unwind after a long day and relax in an amazing environment. Bathrooms today, especially the Master bathroom can provide luxurious features that epitomize our desire to pamper ourselves. Bathrooms can take on the look, feel and ambiance of a spa with features never present in bathrooms of the past. Today’s homeowner can incorporate everything from steam showers, showers with multiple wall shower heads, mood lighting, built in televisions and surround sound systems, decorative and dimming lighting, warming drawers for towels, and that’s just the beginning. With literally thousands of counter top options from granite, stone, quartz and other materials, to custom cabinetry, and state-of-the-art sinks, toilets and faucets, you are only limited by your imagination. So, where do you begin? What to Consider When Planning a Bathroom Remodeling Project? Think about who will be using the space. Will they be family members, guests, or yourself. This may sound obvious but why build elaborate features into a bathroom that only gets used seldomly? What are the personal needs of the primary users? A bathroom should first and foremost be functional and practical. 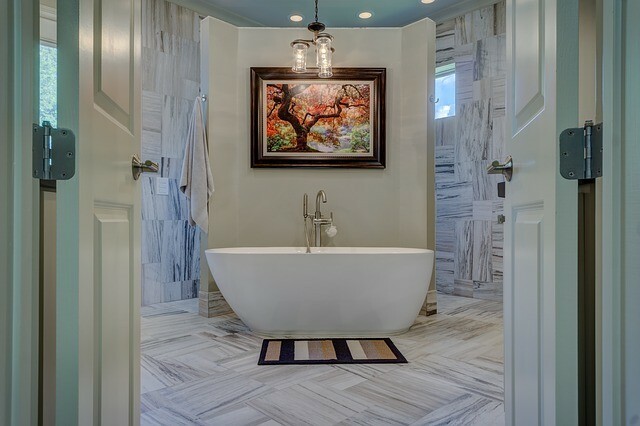 If it’s the Master bathroom, let your imagination run wild. A fabulous master bathroom will not only add value to your home, but it will add to your quality of life. What is your budget? With so many material options as well as fixtures and distinctive features available, the cost of bathroom remodeling is only limited by your imagination. Before starting, consult with the bathroom remodeling experts at Mr. Dry Services. We can help you select the materials that suit your eye, and your budget. Whether it’s because Mr. Dry Services oversaw the clean-up of your home following a fire or water damage issue, or you’re just a homeowner with the vision and desire to remodel your bathroom, Mike Brigandi and his team of experts at Mr. Dry Services are ready to assist you. The experts at Mr. Dry Services have been serving SWFL since 1999. They understand that the cleanup is just the first phase of restoring your normal life. Even if you haven’t experienced a disaster that requires your bathroom to be rebuilt and remodeled, why not trust your remodeling project to professionals who have “picked up the pieces” of so many homeowner’s lives and not just restored their bathrooms but created a fabulous bathroom experience. Mr. Dry Services can handle your bathroom remodeling project from start to finish and take care of both your cleanup and restoration needs as well as your post disaster construction needs if applicable. 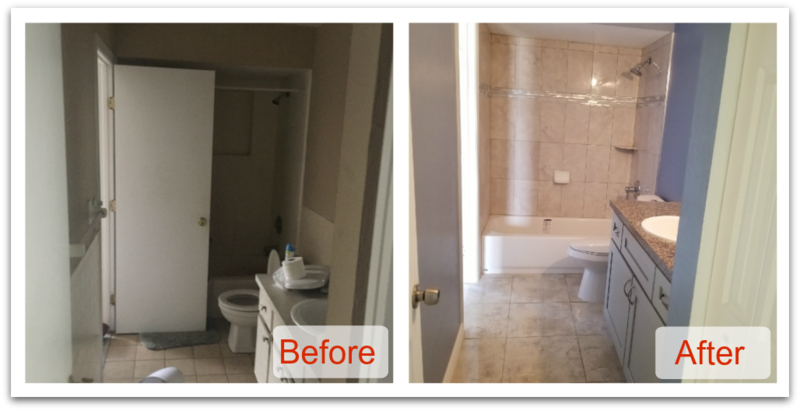 Whether it’s a remodeling project following a disaster or you’re just ready to re-invent your bathroom, you can trust that owner Mike Brigandi can provide the expertise for both. The experts at Mr. Dry Services have been serving SWFL since 1999. They understand that the cleanup is just the first phase of restoring your normal life. Even if you haven’t experienced a disaster that requires your bathroom to be rebuilt and remodeled, why not trust your remodeling project to professionals who have “picked up the pieces” of so many homeowner’s lives and not just restored their bathrooms but created a fabulous bathroom experience. Remodeling for any reason can be disruptive to your lives and we strive to get you back to normal as soon as possible. We’ll help you design a bathroom that you will be proud of and that will serve you for decades. 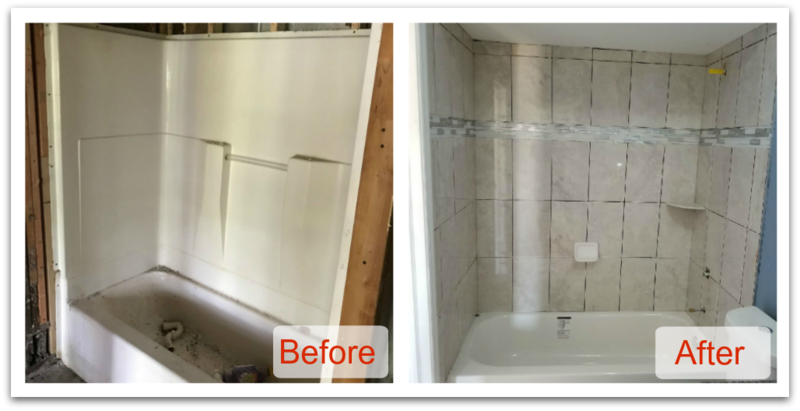 As a family owned and operated business, owner Mike Brigandi wants to help you in every phase of your bathroom remodeling project. Our trained and licensed staff are leaders in the industry in remodeling projects including bathrooms, kitchens and whole house restorations and renovations. You don’t need to have had a disaster to appreciate the experience and skill that “Big Mike” and his team bring to any job. If you find yourself in need of a fire & smoke damage restoration company, please choose Mr. Dry Services, a trusted family owned business in your community with over 30 years’ experience. And for all your bathroom remodeling needs, look no further than Mr. Dry Services to handle all your remodeling and repair needs.